The Pordor estate was the home of a powerful seignory from the beginning of the 13th century. 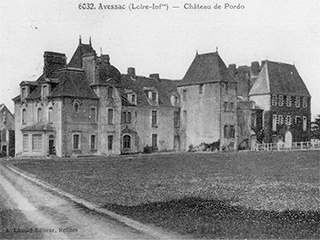 The chateau was enlarged and modified many times during the course of the 16th, 19th and early 20th century. The Chateau still withholds the essential elements of the medieval manor dating back to the 14th century miraculously preserved from fires and revolutionary upheaval. It is in this oldest part of the Chateau that receptions are held. On the ground floor, the largest room used to be a boardroom and banquet hall, it was restored to its original size and is now the main banquet room. Three out of four beams in this room are original. Unfortunately, the fireplace has disappeared, only a piece of its jambs is left. In the entrance hall however, the jambs and hearth of the fireplace are from the medieval period, the hood was added in the 18th century. This hall was originally the private office of the lord. On the 1st floor, where you would most likely access the two external tours, there was a tall room with, on each side, 2 bedrooms: one above the entrance hall and the other above the red banquet room that was originally a kitchen. There were many modifications and extensions done after. At the beginning of the 16th century the large staircase was built in the rectangular tower leaning on the east facade. 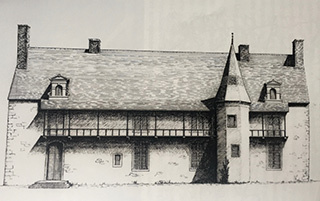 The Chateau was miraculously preserved from fires and revolutionary turmoil; it was then owned by Mister de Mauger who had bought the seignory upon his return from Santo Domingo in 1777 from the Duke of Lorges. 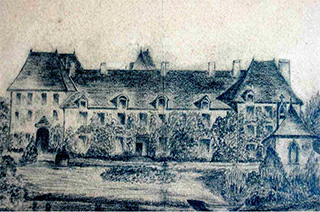 In the second part of the 19th century, the large building on the northern part was built by Mr Couetoux du Terte but was never finished. It was left in the state of a stable and barn until the current owner Mr. de Varreux transformed it into a small theatre (used as the ballroom during wedding ceremonies). It was in 1906 that Mr Pommier, owner at the time, built the south part of the castle overlooking the lake. At this time the Pordor domain included 5 farms for a total area of about 300 Hectares. The domain was then inherited by families Cochard and Le Gouvello. Prior to then many known families or less known but from the region were owners. Such as the families Luzanger, Le Breton de Villandry, the Duke of Lorges, Mauger, Salentin, the count de Goulaine, Couetoux du Tertre. Today, the château is still entirely private, and is home of the Trutié de Varreux family, the current owners.